Thoughtfully situated deep within an acre lot for quiet enjoyment, this very inviting modern home with its clean and sophisticated design is sure to delight even the most discerning of tastes. The upside-down floor plan features three bedrooms and two baths on the ground level; with two of the rooms offering access to the beautifully designed grounds. The master bedroom is a large yet cozy space with a separate dressing area and en-suite master bath. The two additional bedrooms share the hall bath. Up the stairs you will find an open floor plan with wall to wall glass doors flooding light into the living, dining and kitchen triune. Completing the second level space is a double-sided fireplace opening into both the main living space and the TV lounge, offering abundant seating for you and all your guests. The kitchen is fully equipped with superb finishes and high-end appliances. The dining table seats eight comfortably with additional outdoor dining on the adjacent deck highlighting the views of the backyard with its generous entertaining space. With steps leading down to the newly refurbished heated pool and even more entertaining space. 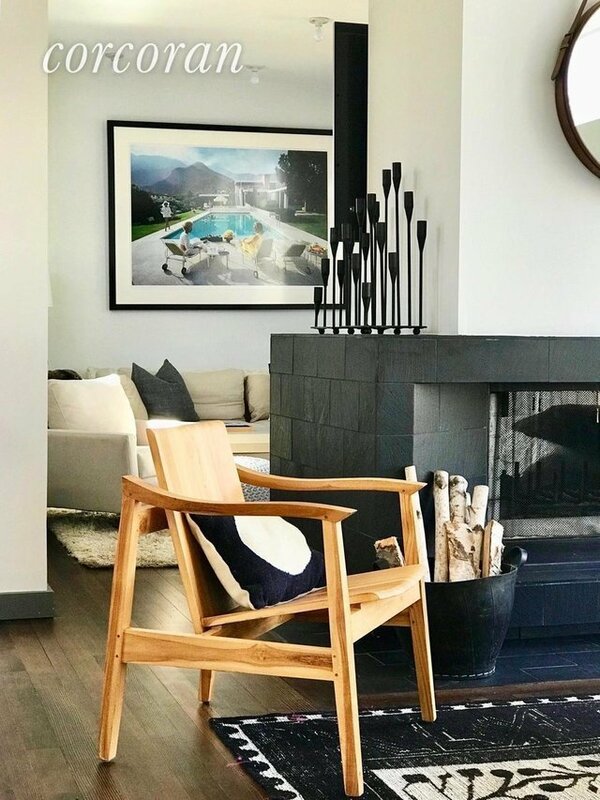 Both the interior and exterior of this property have been curated to maximize your comfort...from quality linens to the on-trend dÃ©cor, you may never want to leave. This HamptonâC™s Hideaway is within a short distance to Sag Harbor Village, Bay Beaches and Serene Green Farm Stand. DonâC™t miss out on this fabulous new rental offering!